To continue, scroll down or select a menu item. the lottery or gaming industry. There are many, many years of collective lottery and gaming market experience within QLot. By drawing on this experience, our clients get “tangible relief of responsibility, decreased business risk and/or increased profitability”. Avoiding pitfalls, security risks or inferior technological products is critical to the success of your processes and operation. QLot will ensure your success. QLot Consulting AB is a Swedish company, focusing solely on lottery and gaming consulting world-wide. Founded in 1998, employing consultants across Europe and the United States and having direct experience from lotteries and operators around the world, QLot has established itself as the leading vendor-independent consulting company in the lottery and gaming industry. The company has conducted lottery feasibility studies, licensing, privatization and procurement processes for a large number of entities around the world and is able to undertake very complex and demanding assignments. QLot is an associate member of the World Lottery Association (WLA) and enjoys an impeccable reputation within the lottery/gaming industry, being very well acquainted with all established industry players. It is also the retained consultant to the WLA, responsible among other things, for the WLA RFP standardization program, which has since become the Global RFP Best Practice and for the WLA Security Control Standard, which forms the security norm for state lotteries and suppliers alike. Establishment of over 20 lottery systems worldwide, including Minnesota, the UK, seven German Bundesländern, Ireland, DRC, Mauritius, Republic of Georgia, etc. Establishing, reviewing and improving legislative and regulatory frameworks. Procurement processes including evaluation, RFPs, proposals, drafts, reviews, etc. Standardization work for the areas of gaming procurements, security, anti-money laundering, etc. A unique in-depth knowledge of lottery and gaming systems and other technologies such as on-line (Internet), Hand-held terminals, Central Processing systems, ePayments (“Mobile money”), etc. Selecting Drawing equipment (mechanical and computer generated), development of drawing procedures, studio layout, etc. The combined know-how of QLot’s lottery and gaming professionals enables qualified, supplier-independent consulting and support from the planning of a lottery or gaming site start-up, via product development and devising marketing/sales programs through to the implementation and operation of a lottery or gaming system. In addition to its Principal Consultants, QLot has direct access to a large network of select, highly qualified industry experts, enabling support for any conceivable lottery or gaming project. For the client, this means comfort in acquiring all necessary services from one source. It also enables QLot to take a greater responsibility within each project. QLot offers a broad spectrum of services which you will find described below. We hope you find the information interesting. QLot is proud to be the first lottery consulting company accepted as an associate member of the World Lottery Association (WLA). QLot is the lead consultant and matter expert in a consortium supporting the Cyprus government (represented by the Ministry of Finance through its Privatization Unit) for the licensing of the operation of the National Lottery to a private entity. QLot, together with among others KPMG Cyprus, is providing services in technical, commercial, legal and financial areas, facilitating the Cypriot government’s license award expected in 2018. 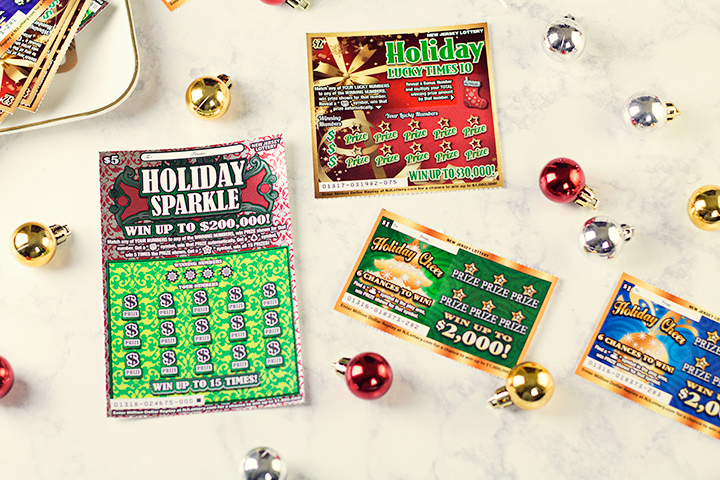 After a competitive tender in 2015 for consulting services, QLot was selected by the Minnesota State Lottery (MSL), assisting the lottery with its gaming system tender. The tender and implementation were successfully concluded in 2016. 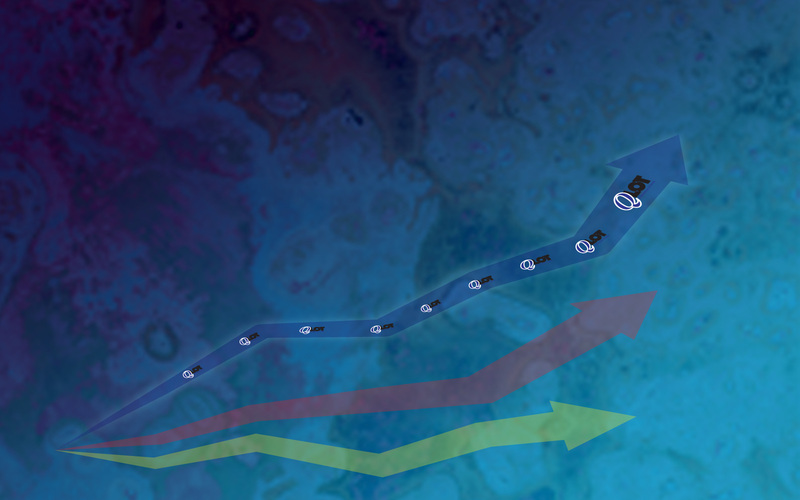 QLot has now been awarded a second contract to assist MSL in further technology procurement, implementation activities and best practices related to the lottery’s complete gaming environment. QLot (in a consortium with Irish stockbroker firm Davy Corporate Finance Ltd.) was retained by the Ministry of Public Expenditure and Reform of Ireland to assist them with the licensing and privatisation process of the Irish National Lottery, also including Internet gaming. QLot was responsible for all gaming related aspects of the process, provision of extensive advice on revising the Irish lottery legislation and regulation, recommendation of suitable procurement process, drafting the Request For Application (RFA), drafting the Operation License, gauging interest from the market, supporting the assessment of the license valuation, assistance in bidders’ proposal evaluation, support during contract negotiations with the successful bidder and support in monitoring and supervising the licensee. QLot was retained by the Austrian Ministry of Finance, on behalf of which it completed the regulatory, privatisation and licensing process for the Austrian National Lottery (complete operations including state-of-the-art Internet gaming and VLTs) for awarding a new 15-year lottery license. Following an EU procurement process, QLot was further awarded a second contract by the Ministry in order to support the licensing, privatisation and regulation process for fifteen land based Casinos and a land based Poker Parlours as well as to support the Regulator in monitoring and auditing all licensees. This contract was successfully completed in 2017. Mr. Kulich established QLot Consulting in response to the increasing demand from the lottery industry for a qualified consulting organization. For 6 years, Mr. Kulich was responsible for a large number of sales and implementation projects of On-line systems in Europe and North & South America on behalf of EssNet AB. 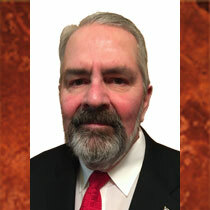 In his active involvement in numerous world wide lottery operations, Mr. Kulich has acquired a genuine understanding of the issues facing a lottery, both in start-up projects as well as day-to-day operations. Procurement, marketing and sales, agent networks, on-line systems and gaming product development are some of the areas in which Mr. Kulich is proficient. Prior to his joining EssNet AB, Mr. Kulich held a position as Marketing Manager at Atlas Copco, being responsible for industry specific marketing of the company’s agents and sister companies throughout the world. Ing. 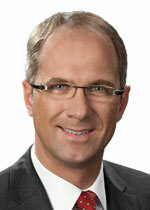 Tony Steinegger is a very professional, results oriented, dedicated achiever and senior manager. Being versatile and resourceful, he is a results oriented individual, capable of quickly analyzing processes and adapting to new environments. 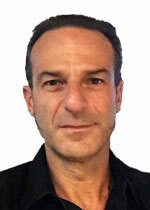 Tony is highly familiar with all gaming business related principles and activities. 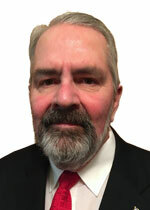 He is an expert in the entire Lottery life-cycle process – from Initial Studies, Legislation & Regulation, Procurement Management (Privatizations, RFP process and Bid evaluation), Lottery Project Management, Technology (Central System and Terminal), System Implementation Supervision, Acceptance Testing and Certification. He is therefore uniquely qualified for the widest spectrum of lottery projects. Tony holds a combined engineer’s degree in corporate organization and IT and has served in various top management functions. He is also a certified and qualified ISO 27001 and WLA-SCS Lead Auditor and contributes as an Expert member to the Austrian Standards Institute, working group 001.27 (Information Security) and group 001.18 (Data Protection and Privacy). With his more than 17 years experience in the Lottery and Gaming Industry, Ed van Petten has an excellent performance record of success in sales, marketing and management. 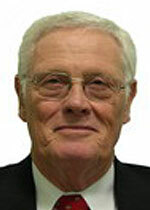 He has served as the Executive Director of the Kansas and Minnesota Lottery for 11 and 4 years, respectively. He is recognized by Governors and Legislature for management, marketing, and integrity of the Lottery operations and acknowledged by reporters for accessibility and responsiveness to inquiries. Ed initiated new games promoting Kansas sites, heritage, and business in partnership with tourism groups and businesses that demonstrated increases in revenues to the state and international visibility for Kansas. Ed is also recognized in Kansas and Minnesota for work with problem gambling councils. 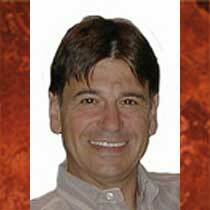 Ed’s extensive experience in lottery operations and management makes him an authority in negotiations and conversations between state lotteries and lottery vendors in proposal development, as well as in assisting in planning and execution of research and development on new lottery innovations. Chris Moumouris is an international lottery, gaming and gambling industry expert, with over eighteen years of experience, a proven, outstanding international track record and a strong all round understanding of all aspects of the business. Prior to joining QLot, he had a long career in Intralot, one of the global top vendors in the sector of lotteries, gaming and sports book, through which he gained his all-round expertise in the industry. During his tenure in Intralot he has served in several functions, including commercial, strategic, project management and top management. 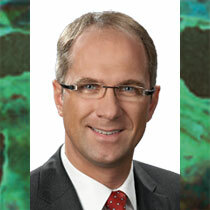 His senior positions at Intralot include CEO of Intralot Nederland BV, Managing Director of Intralot Asia Pacific Ltd., acting Director, International Markets of Intralot Interactive SA (I2) and Sales Director Intralot SA. He served as a Board Director in the Boards of Intralot Nederland, Intralot Asia Pacific, Intralot Korea, MelcoLot, Intralot South Africa and Gidani (the South Africa National Lottery Operator) and has participated as a member in the project implementation, steering and executive committees for the Intralot projects in Malaysia, Korea, The Netherlands and South Africa. 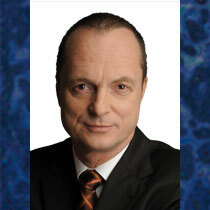 He has set up Intralot’s subsidiary in The Netherlands, has concluded major JVs/acquisitions in South Africa, Korea and Hong Kong and has secured the Intralot projects in The Netherlands, Spain, The Philippines, Taiwan, Malaysia, Korea, China, Hong Kong, New Zealand, Australia, Israel, Nigeria and South Africa. 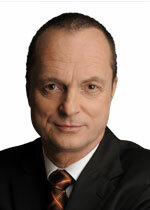 Prior to joining Intralot he held various positions in Hitachi, the global electronics company, where he reached the position of Strategy and Business Development Manager, EMEA. He has a proven track record in expanding business, forging strong alliances, setting-up successful companies and operations from scratch and managing companies and operations to profitable business and dominant market shares. His areas of expertise include Business Analysis, Company Set-up Organisation and Management, Strategy, Alliances, Joint Ventures, Mergers, Acquisitions, Business / Technology Partner Evaluation and Monitoring, International Marketing, Sales and Business Development, Government, Press and Major Account Relations, Procurements, Training, Technology Evaluation. Chris holds a BEng Honours in Electronic Engineering from the University of Westminster in London, England and a Masters in Electronic Engineering from the Eindhoven University of Technology in the Netherlands. 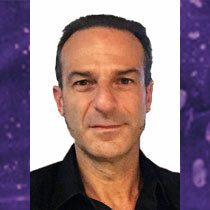 With an engineering background and a strong commercial/operational track record, C. Moumouris has working experience in the gaming sector in Europe, North and South America, Asia, Africa and Oceania. 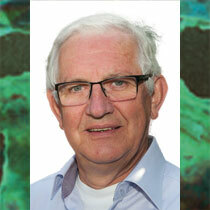 Jaap Stavast is one of the most experienced and respected lottery professionals in the industry. 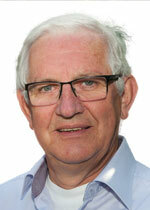 With well over 35 year in various senior lottery positions, including Technical Director and Business Development Director at the De Lotto (Lotto, Instants, Sportsbetting) (now Nederlandse Loterij) in Holland, there is very little Jaap has not seen or done. By taking advantage of Jaap’s wealth of experience, any customer can gain immediate and tangible benefits, be it in the area of operations, technology, game development, lottery training, procurements, or any other area of a lottery project. Throughout his career, Jaap has been responsible for a multitude of new game development projects, including market introductions. He has conducted several major technology procurements, held numerous international industry training seminars and been involved in multi-jurisdictional projects, all in his capacity as Director at De Lotto. With a very extensive technical and business development experience from AWI and IGT ( formerly: GTech), Mr. Hutton brings with him valuable know-how in the field of On-line and Internet systems. Mike worked for GTech in various senior technical positions, including a position as the company’s Director, Software Architecture and Director, Software Communications. 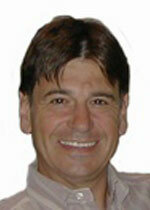 Previously, Mike spent 8 years at Automated Wagering International, developing Lottery technology. Yannis Lazaros is an international Gaming, Operations, ICT and Business Development expert with more than 25 years of management experience and a proven track record of Operational excellence in the areas of Gaming and Information Technology. 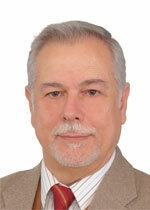 His professional success is based on his strong Analytic, Financial, Compliance and IT background. Prior to joining QLot, Yannis held various senior business and technical management positions around the world, primarily within the Intracom, Intrasoft and Intralot group of companies. Particularly by being part of Intralot’s international expansion in 59 worldwide gaming jurisdictions, Yannis acquired a five-continent hands-on leadership and multicultural experience in all aspects of business and technical development, setting operations up “from scratch”. This meant having taken responsibility for business critical Operations, Finance, Logistics, ICT systems infrastructure and Project Lifecycle management, from conception to completion. Throughout his professional career, Yannis is known in the industry as an exceptional problem solver and innovator, with keen ability to resolve development and operational issues, as well as analyzing and defining business and operational processes improvements. Yannis is also known for his ability to work with diverse project stakeholders; consulting groups, business partners and clients at all business levels. At the senior management level, Yannis is known as a skilled strategist, able to transform plans into workable solutions through motivation and direction of top-level, strategic initiatives and to lead by example. Yannis’ academic background extends from Economics to Software Engineering, Information Systems and Management Science (National Capodistrean University of Athens, Greece and Pennsylvania State University, USA). 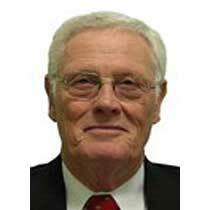 After years of invaluable service to QLot and its clients, Mr. Montgomery retired in 2015, and is today Consultant Emeritus within QLot. 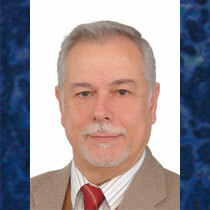 Dr. Montgomery is very familiar with the regulatory process and environment of lotteries across the world. He is an expert in legislative policy, the format and content of laws, the formation of regulatory bodies, rules for the conduct of regulatory bodies, social and government policy regarding lotteries, policies and procedures, regulation and enforcement. Dr. Montgomery has been an innovator in identifying and designing new games utilizing currently available technology within legal, marketplace and policy environments. Dr. Montgomery holds a Juris Doctorate (Law Degree) from the prestigious George Washington University in Washington D.C. He has served his Government in the FBI and U.S. Department of State in both Foreign Affairs and Trade Development. Dr. Montgomery is a highly respected public speaker and will assist, when requested, in making expert presentations to parties interested in this process. He will be supporting on the assessment of changes in legislative policies or market environment as well as in the evaluation of bids. As a former lottery director, Dr. Montgomery has the hands-on knowledge of not only the workings of lotteries, but also the government interests and concerns around lotteries and how other world governments have chosen to structure their activities. Dr. Montgomery can bring creative solutions to the surface and is a skilled negotiator. Dr. Montgomery is very familiar with government processes including procurement issues. He has drafted recommendations on the regulatory arrangements to be established for off-line and online management operators including directions to be issued by the government, as well as make comments and recommendations on the regulatory arrangements. Dr. Montgomery is a consummate professional capable of serving any lottery project in many capacities. Copyright © 2016 QLot Consulting.